Our team understands that undergoing surgical procedures of any kind can cause some anxiety, and we want you to know that we work hard to ensure that you feel comfortable and relaxed throughout your experience. Our practice offers a variety of anesthesia options to help ease your anxiety and eliminate pain during surgery. When you come in for your initial consultation appointment, your oral surgeon will choose the best anesthesia option for you based on the type of procedure you are having, your personal preference, and your health requirements. Anesthesia carries some risk, so it is important that you receive anesthesia from a doctor that has the proper training and expertise to ensure a safe sedation experience. 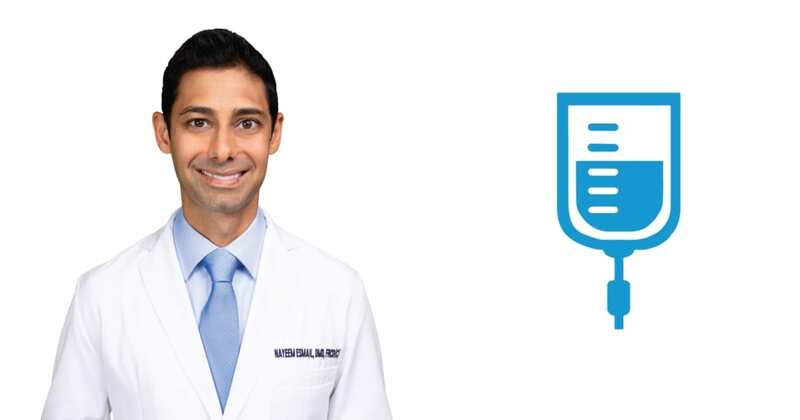 As an oral and maxillofacial surgeon, Dr. Esmail has completed hospital-based anesthesia training and maintains certification in Advanced Cardiac Life Support. He is highly experienced in administering several types of office-based anesthesia, and our staff members are trained in assisting with anesthesia, including IV anesthesia. We monitor our patients continuously during and after surgery. At our practice, we offer local anesthesia, nitrous oxide, IV sedation, and, in some cases, general anesthesia. Local Anesthesia. A local anesthetic called lidocaine is administered into the surgical area. A local anesthetic is used along with the other methods of anesthesia but can be used alone for simple oral surgery procedures, such as tooth extraction. Local anesthesia allows the patient to remain completely conscious throughout the procedure. Office-Based Intravenous (IV) Sedation. This type of anesthesia is administered through an intravenous line (IV). Also known as Dental Intravenous Anesthesia, or Twilight Sedation/Sleep, this type of anesthesia is very calming and will alleviate the anxiety associated with your treatment. Though you may not always be asleep while under intravenous sedation, you will be comfortable, relaxed, and drifting in and out of consciousness. A designated driver is required to take you home after your procedure if you receive IV anesthesia. Hospital- or Surgery Center-Based General Anesthesia. If you are undergoing extensive procedures such as face and jaw reconstruction, or TMJ surgery, you may be admitted to a hospital or surgery center where you will receive general anesthesia from an anesthesiologist. Hospital-based general anesthesia is also indicated for patients with medical conditions such as heart disease or lung disease who require general anesthesia for their procedure. If you have any concerns regarding the anesthesia that will be administered during your oral surgery procedure, please share your thoughts with Dr. Esmail and your care team when you have your consultation. Your comfort, well-being, and safety are important to us. The surgical staff at Abbotsford Oral Surgery and Dental Implant Centre is highly trained and qualified to administer several types of anesthesia in the comfort of our practice. You will be in excellent hands during your oral surgery procedure. For more information about your anesthesia options at our practice, or to schedule a consultation with Dr. Esmail, please call us. Thank you for the opportunity to offer you the best of care.